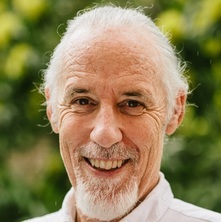 His current research includes memory-based models of sentence processing, working memory capacity and aptitude for second language learning, and computer-mediated second language development. Second language reading and vocabulary development. The role of working memory in second language learning. The acquisition of Japanese and English as second languages. Harrington, Bridget, Harrington, Michael W., McCreary, Jan and Russell, Heather (2014). Life with a spinal cord injury: from the parents', daughter's and clinician's perspective. In Lawrence, C. Vogel, Kathy Zebracki, Randal R. Betz and M. J. Mulcahey (Ed. ), Spinal cord injury in the child and young adult 1st ed. (pp. *-*) London, United Kingdom: MacKeith Press. Loschky, Lester C. and Harrington, Michael (2013). A cognitive neuroscientific approach to studying the role of awareness in L2 learning. In J. M. Bergsleithner and S. Frota (Ed. ), Noticing and second language acquisition: Studies in honor of Richard Schmidt (pp. 289-307) Honolulu, Hawaii, United States: National Foreign Language Resource Center. Iwashita, N. and Harrington, M. W. (2008). Summary and discussion of studies in the acquisition of Japanese as a second language in Australia. In Sakamoto Akira, Nagatomo Kazuhiko and Koyanagi Kaoru (Ed. ), 多様化する言語習得環境とこれからの日本語教育 (pp. 79-96) Tokyo, Japan: 3A Corporation. Harrington, M. W. (2004). Commentary: Input processing as a theory of processing input. In B. VanPatten (Ed. ), Processing instruction: theory, research, and commentary (pp. 79-92) New Jersey, U.S.A.: Lawrence Erlbaum Associates, Inc..
Harrington, Michael (2002). Cognitive perspectives on second language acquisition. In Robert B. Kaplan (Ed. ), The Oxford Handbook of Applied Linguistics (pp. 124-140) New York: Oxford University Press. Harrington, Michael (2001). Sentence processing. In Robinson, Peter (Ed. ), Cognition and Second Language Instruction 1 ed. (pp. 91-124) Cambridge, UK: Cambridge University Press. Harrington, Michael and Roche, Thomas (2014) The role of word recognition skill in academic success across disciplines in an ELF university setting. Papers in Language Testing and Assessment, 3 2: 76-99. Harrington, Michael, Ingram, John and Proctor, Michael (2008) LMAP (Language-Multimedia Assessment Program). St Lucia, QLD, Australia, The University of Queensland. Stockwell, G. and Harrington, M. W. (2003) The Incidental Development of L2 Proficiency in NS-NNS Email Interactions. CALICO Journal, 20 2: 337-359. Harrington, M. (2002) The resourceful second language user: The role of working memory in second language processing. Journal of the English Phonetic Society of Japan, 33-44. Harrington, M. W. and Levy, M. (2001) CALL begins with a C: Interaction in computer-mediated language learning. System, 29 15-26. Harrington, M. and Dennis, S. (2004). Structural Priming in Sentence Comprehension. In: R. Alterman and D. Kirsh, Proceedings of the 25th Annual Conference of the Cognitive Science Society. The 25th Annual Meeting of the American Cognitive Science Society, Boston, MA, (515-6). 31 July - 2 August, 2003. Dennis, S. and Harrington, M. (2002). The Syntagmatic Paradigmatic Model: A distributed instance-based model of sentence processing. In: M. Isahara and Q. Ma, The 2nd Workshop on Natural Language Processing and Neural Networks, Tokyo, Japan, (38-45). 30 November, 2001. Harrington, M. W. (1999). Figure and Ground in SLA theory. In: T. Fujimura, Y. Kato and R. Smith, Proceedings of the 10th Conference on Second Language Research in Japan. The 10th Conference of Second Language Research in Japan, Tokyo, International Univ. of Japan, (61-92). 24 January 1998. Harrington, M. W. (1999). Gendered sentence final forms in Japanese as a second language. In: P. Robinson, Representation & process. Pacific Second Language Research Forum, Aoyama Gakuin University, Tokyo, (61-74). 26-29 March 1998. Harrington, M. (1999). Sentence processing research and an L2 transition theory. In: P. Robinson, Representation and Process. The 3rd Pacific Second Language Research Forum, Tokyo, Japan, (165-174). March 28th - 30th, 1998. Harrington, Michael (2007). The Coefficient of Variance as an index of L2 lexical processing skill. , School of English, Media Studies and Art History, The University of Queensland. A memory-based model of sentence interpretation.